I have been drawing animals since I can remember myself. Flora and fauna are main interest. 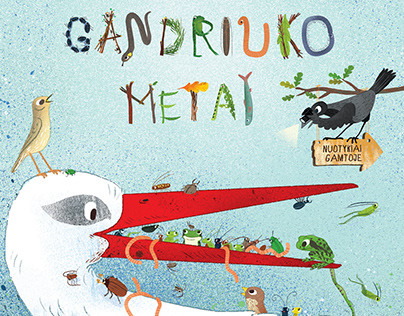 Gandriuko metai. Illustrations for a children book. Illustration for kids book "The year of squirrel"
Illustrations for a book about vedas. 24 digital works for my first solo exhibition. Illusrations for childrens book Kur nuklydo panagiukai?